Before we delve deeper, let’s get a basic idea of how an eye generates vision. Very simply, when you see an object, the light emitted from it falls on the eye. The eye then focuses this light on the retina and generates the image of what you see and even how you see it. 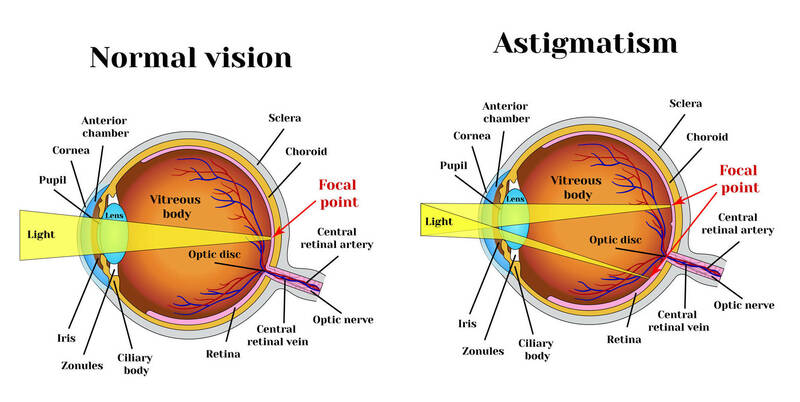 What is astigmatism? Well, when the eye is unable to focus the light on the retina and manages to do so in front of it or even behind it, the person is likely to be suffering from some degree of astigmatism. Just like nearsightedness and farsightedness, the solution for astigmatism also lies in opting for the right lens. 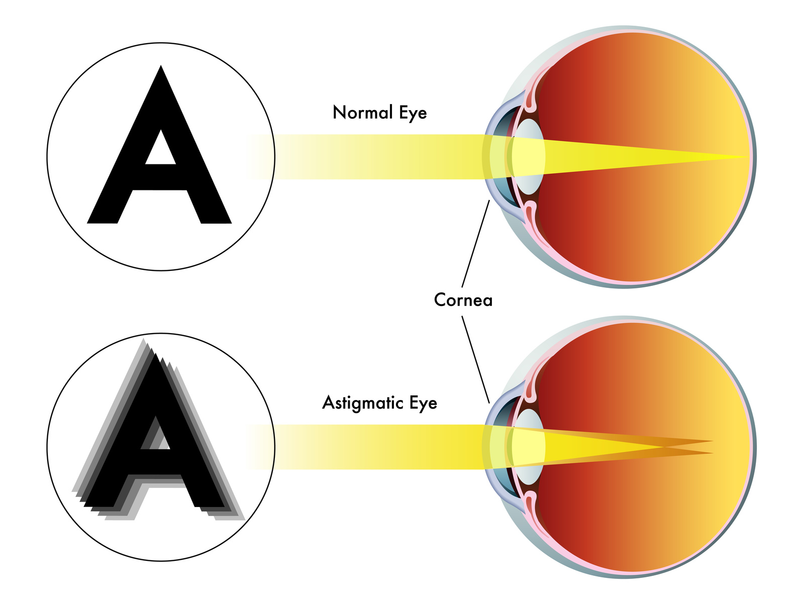 Primarily there are three types of astigmatism. First is myopic astigmatism where one or both principal meridians of the eye are nearsighted, basically myopic in differing degree. Second is the hyperopic astigmatism where one or both principal meridians of the eye are farsighted and the third type is mixed astigmatism where you see symptoms of both nearsightedness and farsightedness. Many lens makers specialise in offering lens for astigmatism and we will tell you more about them a little later in this article. Another offshoot of this variation is irregular astigmatism which is often a result of some accident or injury, involving the eye. Those suffering from astigmatism are likely to experience blurred or distorted vision. Astigmatism is of two types – regular and irregular. The regular one is more like a refractive error arising from the eye’s inability to focus light while the irregular is more often a result of injury or damage to the eye. Since astigmatism usually occurs early in life, a regular eye exam is the best way to detect it. Ideally, it is always advised to check if your customer has sought medical diagnosis before approaching you for an astigmatism lens. Astigmatism usually can be corrected with eyeglasses, contact lenses or refractive surgery. Now let’s move towards the lens correction options for those who suffer from astigmatism. Usually, a spherical lens is used to correct nearsightedness or farsightedness. For astigmatism, an additional “cylinder” lens power is added to the above options. This cylindrical lens power is used to correct the difference between the powers of the two principal meridians of the eye. The cylindrical lens power is what the optician will likely see as a cylindrical axis in the ophthalmologist’s prescription. Soft toric contact lenses are also used for astigmatism correction, just that the lens prescription will include a sphere power, cylinder power and axis designation. Gas permeable contact lenses are also an option as they can optically replace the cornea as the refracting surface of the eye. However, these lenses are rigid and therefore avoided. There are cases when a cylinder power and axis may not be needed. It all depends on the type and severity of astigmatism correction required. 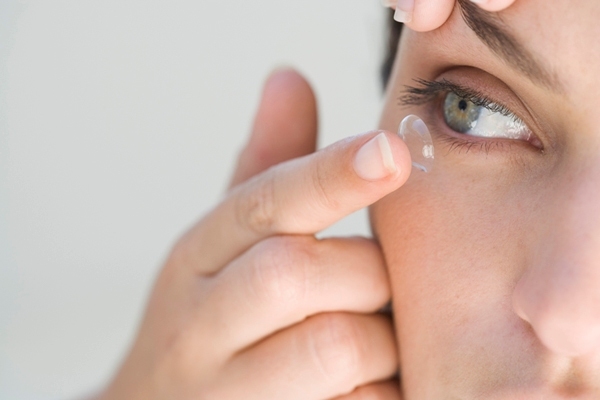 A similar theory can be applied for the hybrid contact lenses as well. Refractive surgery such as LASIK can also be used to correct astigmatism. Now that we have taken you through the basics of astigmatism, here is a look at what leading lens brands offer for those with astigmatism. Flexlens Toric: This is Back Toric prism ballast design. Very crisp acuity compared to other softlens torics in the market, because of its more stable fit. Hundreds of combinations available in terms of diameters, Base Curves, Powers, Cylinders, and Axis that can be custom fit to the patients. Westhin Toric: Thin Back Toric Slab off design and Thin Toric with a slab off design for patients that have trouble with other prism ballast lenses and rotation. Just like the Flexlens Toric, this lens design is also available in multiple combinations of parameters and materials to grant the astigmatic patient with the best solution. Biofinity toric lenses: Biofinity toric lens by Cooper Vision are developed using Aquaform® Technology. These lenses allow plenty of oxygen to pass through to the wearer’s eyes. And their natural wettability won’t rinse off very easily allowing the wearer to enjoy excellent vision with a soft, comfortable lens that’s healthier for the eyes. A wearer is free to wear it for up to 7 days in a row. 1-DAY ACUVUE® MOIST: It comes with a triple care protection (Moisture, Oxygen, UV Protection) that keeps the eyes moist and comfortable with its proprietary LACREON™ Technology, that permanently locks moisture in the contact lenses taking comfort to a new level. ACUVUE OASYS® 1-Day: These lenses are designed with HydraLuxe™ Technology that gives your eyes the comfort that it requires. It ACUVUE OASYS® 1-Day contact lenses are designed with HydraLuxe™ Technology. This daily contact lens has tear-like properties that work with your natural tear film, providing all-day performance and excellent comfort, vision and handling. Airy One Month (Toric): This lens for astigmatic patients has been developed using silicone hydrogel material that is able to supply a sufficient amount of oxygen to the cornea without relying on moisture content. The use of Silicone Hydrogel in making the lens and the plasma coating on the surface help in maintaining the moisture level of the eye. This, in turn, guarantees all day long comfort for the wearer. The plasma coating also prevents the harmful UV radiation from reaching the eyes. In order to meet the dynamic needs of the astigmatic patient, Bausch+Lomb is offering two innovative products – Biotrue® ONEday contact lens and Bausch + Lomb ULTRA® contact lens – both featuring innovative material science and unique lens design. The unique chemistry used in theses lenses claim to maintain 98% of its moisture for up to 16 hours. In terms of lens design, lens geometries were optimises through clinical assessments of designs. The final designs were selected that leverage the downward movement of the upper lid to keep the lens correctly oriented. Both are also designed to reduce the positive spherical aberration value that is naturally occurring in the human eye as well as the spherical aberration of conventional spherical contact lens optics. By reducing the amount of spherical aberration with aspheric optics, the lenses are designed to improve image quality and reduce halos and glare. Fusion 7days stigma: These toric lenses features the innovative Sleekform design, developed by Safilens to ensure precise, rapid and constant stabilisation, which is based on the pure prism, ensuring minimal thicknesses and an extremely uniform surface. In addition to limiting the mechanical strain associated with wearing contact lenses, this characteristic significantly reduces the issues related to differences in the distribution of oxygen flow, typical of the designs currently available.